From a best appearing contest to drivers discussing plans, social media is a buzz about the Mini Stock division through the off-season so far. That has shown in the Silly Season Portal at Short Track Musings with plans revealed for 14 drivers across the two editions. Since then, the news has just joined continued to drop with drivers revealing their plans. So here are some more competitors who have openly discussed their 2019 plans as of February 11, 2019. An interesting twist saw JNL Motorsports purchase the No. 2 Mustang from the Holmes team, only to turn around and put Dylan Holmes in the driver’s seat for the season. if you recall the first edition for the Bone Stocks, this is the team that will be entering a pair of entries in that division at Sunset Speedway with Jeff Norman and James Potentier behind the wheel. 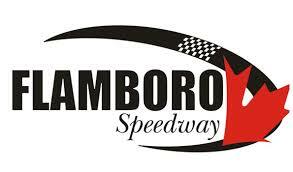 Wendy Adams reached out to Short Track Musings to let us know that she will be back at Flamboro Speedway on a full-time basis in 2019. After it was revealed that Chance Isherwood would be making his return to racing, Dave Middel was quick to inform Short Track Musings that he will be entering two more entries this year. Morgan Robson Jr. has been keeping fans up-to-date with his progress through the off-season on a mini stock build, as he looks to get back behind the wheel this year. After a successful Bone Stock campaign, Maltese Motorsports has shared photos of a mustang-build in progress for Connor Maltese to move up a class in 2019. Jake Watson released his schedule for the 2019 season, which will see him primarily at Flamboro Speedway while attending some of the big invitiationals across the province. We already shared that Dylan Sharpe will be moving up to Mini Stock, but you are going to want to attend the Motorama Custom Car and Motorsports Expo in March to see the scheme that he had chosen. It’ll be a nice throwback for long-time NASCAR fans. After reaching victory lane on a couple occasions last year, Tyler Seaboyer is hoping to chase after the title at Sunset Speedway in 2019. Meanwhile, Kaitlyn Wallace hopes to put the bad luck of 2018 behind her and snag her first career victory at Flamboro Speedway.